Main Products: HDMI Splitter , HDMI Switch , HDMI , HDMI Cable , VGA Extender , Video Converter. 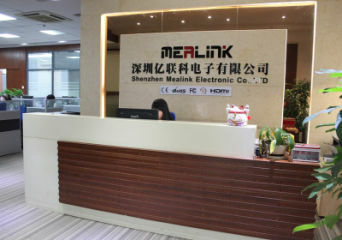 Mealink Electronics (Shenzhen) is a high-tech company specialized in digital Audio/video techniques. Our products include series of HDMI products, video converter, extender, VGA/Component/DVI/USB related splitter, swtich, extender, cables, etc. 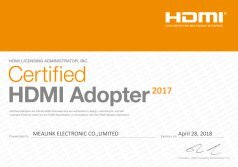 Our products can distribute, convert, amplify and extend HDMI signal under all kinds of A/V signal standards' encryption and decryption requests. It includes HDMI switch, HDMI splitter, HDMI extender, HDMI matrix, HDMI cable, etc. Our products cover a wide range of application which can offer the solutions for the following products and project application: HDTV digital STB, DVD, Projector, Multi-media Conference Room, Command Center, Multi-media classroom, conference room, data center control, information distribution. Our Culture and Goal At Mealink, our culture help us attract lots of clients and maintain close relationship. Our clients' interests always come first and we take "Client Focus, Entrepreneurial Spirit and Teamwork" as tenet, dedicating to provide advanced products and excellent service to our clients. Our consistent goal is to be a true leader of technologies used in industry around the world.